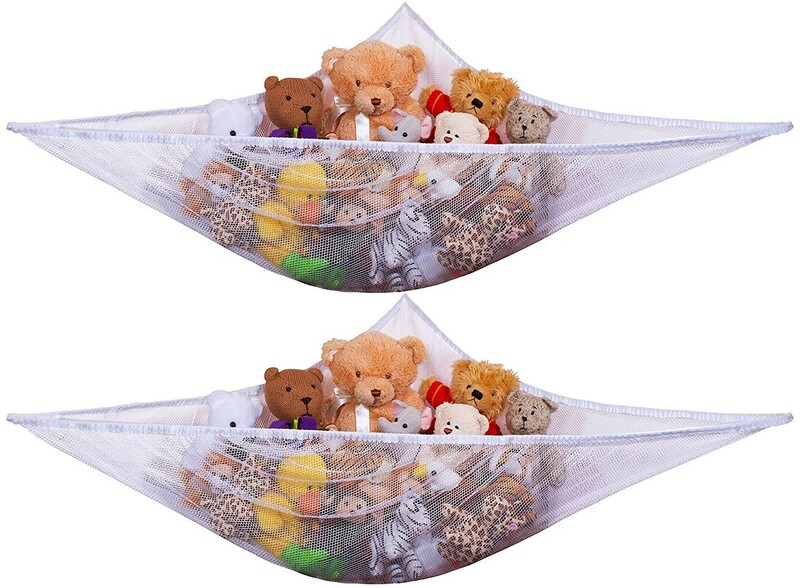 Master Box Dimension : 24" X 20" X 16"
Jumbo toy hammock pack is great way to organize your stuffed animals or toys, also great for decoration as well. Easy to use hammock can help you remove all the mess that's on the floor and make more room. Remove clutter on the floor while organizing toys, also looks great as well. Hammock will attach to any wall surface, accessories needed to attach the hammock is included. Hammock can expand up to 5.5 feet along the wall.